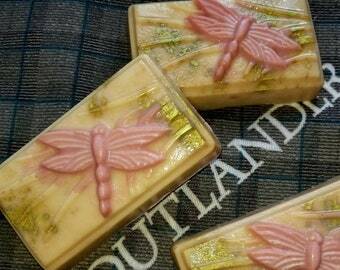 Sassenach - Outlander, Claire Fraser soap, Jamie's wife, Scottish Fantasy soap, Floral soap, Herbal soap, Handcrafted soap, Shea butter. >->->-> Buy more and SAVE on shipping!! >*>*>*> Nov 2017 - I'm excited to announce I'm going International! Now shipping worldwide! >~>~>~> Limited local pickup is available. Please contact me. 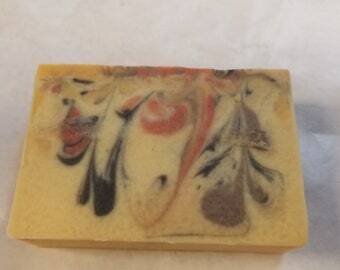 Lavender soap - Floral, Herbal, Shea butter, Handcrafted soap, Relaxation, soothing. Super customer service. Great soap. I love this soap! 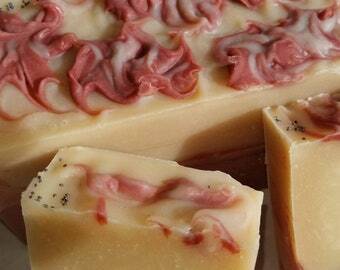 I should say I am a soapmaker too, yet I will buy this soap.....high quality, intoxicating scent blend......perfect. If you are an Outlander fan, you will love it even more!